Download the conference program here. 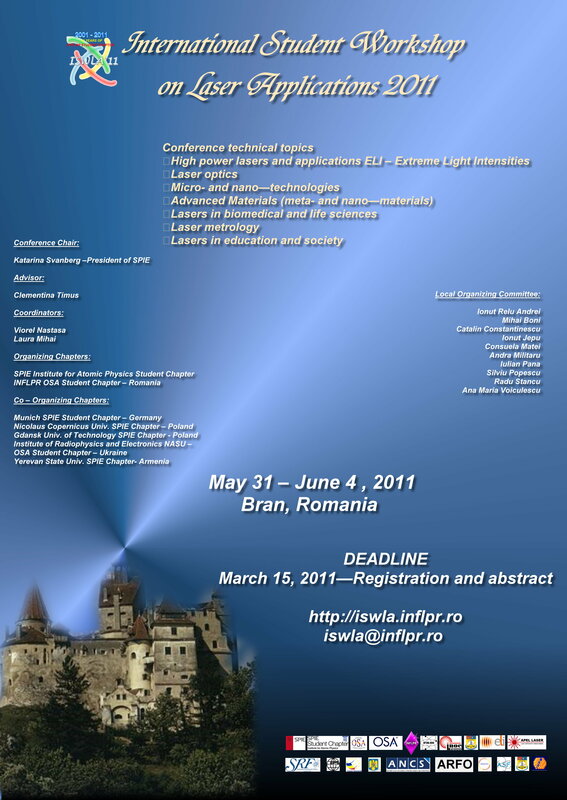 The welcome party, the visit to the famous Bran Castle, Rasnov Fortress and the traditional evening are just some of the ISWLA'11 entertainment surprises. * tennis court - bitumen, basketball, mini-course golf, petanque, riflery, billiards, archery.